Pink lemonade mix, cranberry juice cocktail and seltzer make a refreshing and sparkling punch that's sure to quench everyone's thirst. 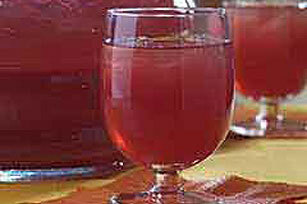 Add cranberry juice cocktail to drink mix in 2-qt. plastic or glass pitcher; stir until mix is dissolved. Pour into punch bowl; stir in seltzer. Serve over ice. Prepare using CRYSTAL LIGHT Lemonade Flavor Drink Mix.